Over the past few years, the conversation about what it means to be a leader has expanded to include traits we might not normally associate with traditional leadership. People tend to see a natural leader as someone with charisma and an outgoing, social energy. And yet, more is being written about the style of leadership that is more behind the scenes, observant and reflective. This has turned our attention to the introverted leader, the one who radiates a confidence that comes from within. 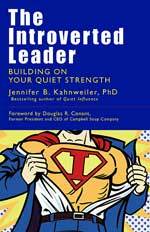 To learn more about how introvert strengths contribute to effective leadership, I’m joined by Jennifer B. Kahnweiler, Ph.D., Certified Speaking Professional. 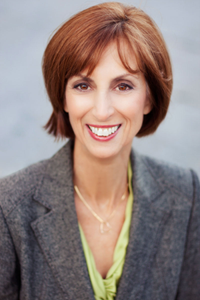 Her bestselling book The Introverted Leader: Building on Your Quiet Strength has achieved widespread appeal and has been translated into multiple languages. 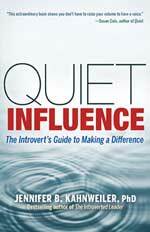 Her latest book, Quiet Influence: The Introvert’s Guide to Making A Difference, will be released on April 15, 2013, and is currently available for pre-sale on Amazon.com and Barnes&Noble.com. Thank you so much Beth and Jennifer! Great podcast! This was my first IE podcast and I’ll be listening to the rest. KristanFarr thank you Kristan. I love when interviewers like Beth conduct a natural conversation. She also obviously prepared; a sweet spot for introverts! Thanks. Great interview, really good to know here taking quiet time, so important.